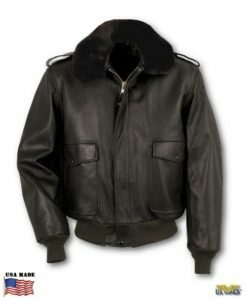 The Schott® Waxed Natural Pebbled Cowhide Cafe Leather Jacket was designed as a retro version of the popular Model 141. Made in the USA. 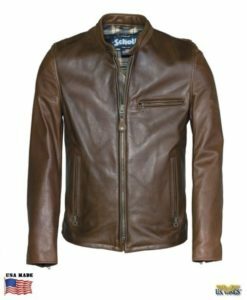 The Schott® Waxed Natural Pebbled Cowhide Cafe Leather Jacket was designed as a retro version of the popular Model 141. 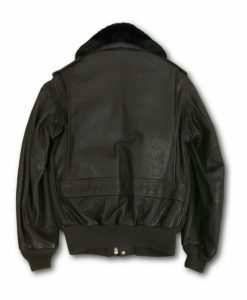 Differences include the vintage style open zippered sleeve cuffs, sewn in cotton flannel lining, and the use of a full aniline, drummed cowhide leather. 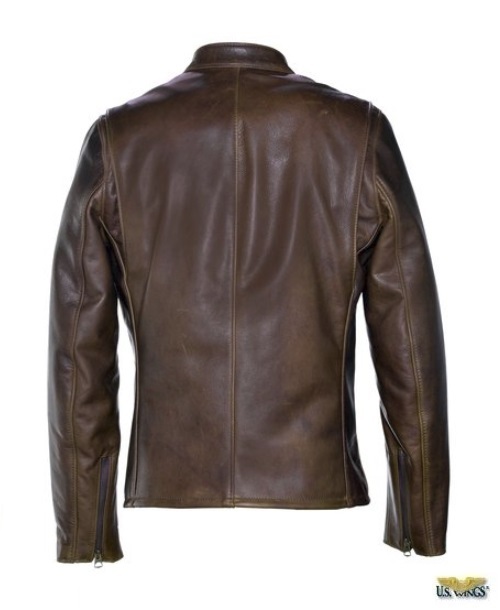 It was made with chrome-tanned, drum dyed, plump & spongy hides. It will be very comfortable to wear the moment you first try it on! 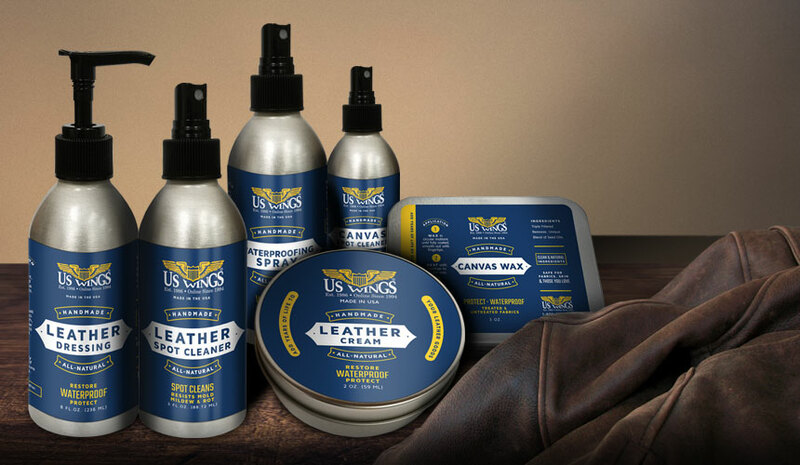 This leather is made with an oil and aniline finish that gives a rustic old look and a soft “hand”. Made in the USA. The Cafe Racer leather jacket mainstream design was developed in England in the 1960’s . As soldiers were returning home after WWII they caught the bug of souping up older, prewar motorbikes. 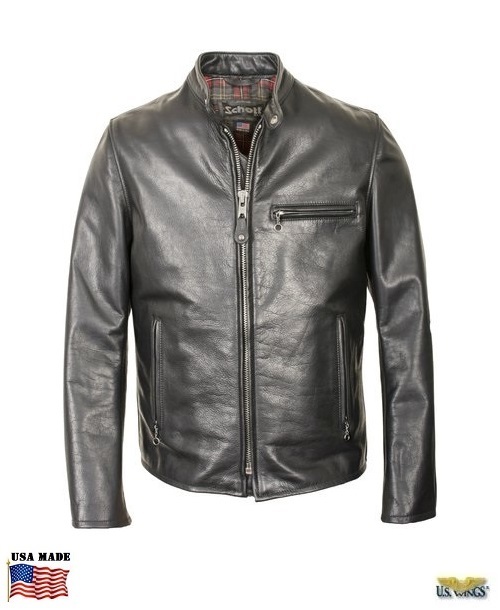 Racing between local pubs and cafes created a need for a streamlined, minimalist leather racing jacket. Traveling at times in excess of 100 MPH was a fairly dangerous proposition on the roads that were more like trails at the time. 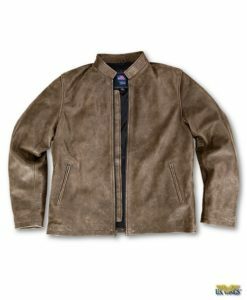 Heavy horsehide and of course a strong main zipper added a certain level of protection for these speed happy daredevils. Imagine the wagers made and records set during these early cafe racing days.